The post Tips to Wear Eco-Friendly Clothes Without Sacrificing Your Style appeared first on Environment News South Africa. 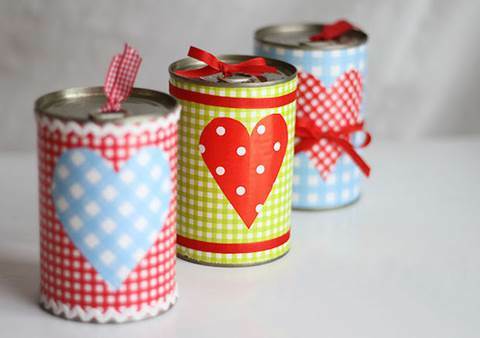 The post Express your love in an upcycled way this Valentine’s Day appeared first on Environment News South Africa. The post KILOMBERO SUGAR COMPANY RELINQUISHES LAND TO CREATE FOREST RESERVE appeared first on Environment News South Africa. The post How to Save Water to help the Drought in South Africa appeared first on Environment News South Africa. The post Solar Water Heating Pros and Cons appeared first on Environment News South Africa. Solar water heaters and geysers are becoming ever more popular in South Africa, as more households move off grid.But installing a solar geyser can be a big commitment. So let’s break down some of the pros and cons. How Do Poly Plastic Bags Help the Environment? The post How Do Poly Plastic Bags Help the Environment? appeared first on Environment News South Africa. Plastic is an important material for many sectors, right from the automotive industry to construction and textiles. As a man-made material that’s sturdy, lightweight and flexible, it can be customized and processed in many ways in order to deliver specific benefits for each application. The post Recent conservation success stories in Africa appeared first on Environment News South Africa. The post A flying river? – How the Amazon Forest produces the largest flying river in the world appeared first on Environment News South Africa. The flying river produced in the Amazon region doesn’t end up in the sea, like normal rivers do. The post The Best Eco-Friendly Decorating Ideas appeared first on Environment News South Africa. The post The great barrier reef and the people trying to save it appeared first on Environment News South Africa. Could coffee fuel you and your home? The post Could coffee fuel you and your home? appeared first on Environment News South Africa. Imagine a world run by coffee? Not just the people running the world but the energy that courses through the veins of the city, from the streetlights to your computer. Coffee grounds could be the new biofuel to power your home and the office. Is Lake Naivasha Under Threat? The post Is Lake Naivasha Under Threat? appeared first on Environment News South Africa. The post An essay from an ex-vegetarian appeared first on Environment News South Africa. The post Your Guide to Eco Friendly Periods appeared first on Environment News South Africa. The post Off the beaten track: renewable energy in Africa appeared first on Environment News South Africa. The post The Mammoth Possibilities of Water Knowledge and Innovation Sharing appeared first on Environment News South Africa. The post How the War on Drugs is Killing the Environment appeared first on Environment News South Africa. Where Has All Our Used Glass Gone? The post Where Has All Our Used Glass Gone? appeared first on Environment News South Africa. The post Community Consulting and Hydroelectric Energy: Learning from Canada’s Mistakes appeared first on Environment News South Africa.